By Graham Vanbergen: We are fast approaching the time where the informational war being waged between the establishment (specifically the vested interests of the rich and powerful) and the independent news outlet is rapidly heading towards its final showdown. Personally, although somewhat defeatist, I think this battle is already lost, it is simply a matter of time. The supposed defenders of free speech, that is the political establishment and their billionaire media cronies have taken sides and this is becoming more evident every day. Today, the mainstream media has a self-inflicted credibility problem. In 2006, about 65 percent of the general public believed what they read in British newspapers in and in little more than ten years this high level of trust has crashed to little more than a quarter. In fact, trust in the four institutions of government, business, media and NGO’s has taken a dramatic dive in just the last three years alone. However, 60 percent of people now get their news from search engines, not traditional human editors in the media. It is here where the new informational war takes place – the algorithm. Google now takes 81.2 percent of all search engine market share globally. As you can see, Billions are being spent on supplanting real democracy and functional capitalism in a desperate attempt to save what is left of the neoliberal wet-dream. Not content with trashing democratic principle and free speech, censorship is the latest preferred tool of reckless billionaires. As mentioned in a previous article, TruePublica’s readership rose month-on-month reaching 160,000 unique visitors a month before inexplicably crashing to 25,000 a few months ago. It has been a rollercoaster ever since. These are small numbers compared to the big players but TruePublica had a two year horizon simply to collaborate and help drive independent news to mainstream readership. Faced with such powerful enemies of the truth and free speech, what’s the point? The World Socialist Website has been equally brave in investigating and publishing their predicament as they saw a fall of 67 percent in user traffic. Their article “Google’s new search protocol is restricting access to 13 leading socialist, progressive and anti-war web sites” is enlightening and corroborates the Guardian story. From my own research, these losses of readership in the last six months, from highs to lows amounted to a colossal 30.4 million unique visitors a month. I can’t vouch for other websites but at TruePublica the average visitor reads 1.84 pages per visit. At this calculation over 55 million pages of content a month are being withheld from just the 13 websites listed above. It is not possible to come to any other conclusion that Google has blatantly been involved in an act of global censorship. Hence the reason why I started off this piece with a negative prediction for the future of truth telling media outlets. Google is a private company, they are not breaking the law. It might be immoral, unprincipled and shameless, but lawmakers across the western world have done nothing to diminish this transnational anti free speech power. But then, why would they? 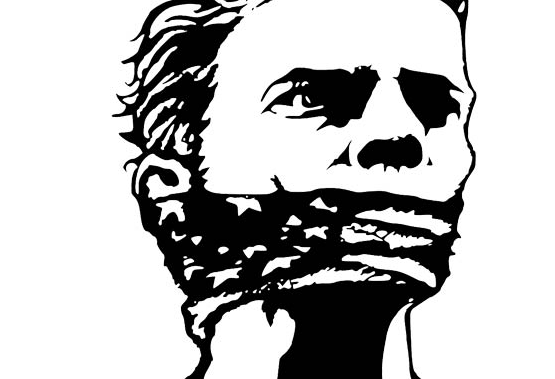 The WSWS article closes by saying “The fight against corporate-state censorship of the Internet is central to the defense of democratic rights, and there must be a broad-based collaboration among socialist, left and progressive websites to alert the public and the widest sections of the working class.” Whilst this sentiment is surely true, it is not enough and it never will be and it’s not about the working class – it’s about all of us, irrespective. What is required now is a collaboration project to actually work together – to create a penetrating and deafening noise to alert the unaware, give a bigger motivation and resources to combat the rising scale of censorship and defend the civil liberties of everyone. If we don’t, before long, it will indeed be too late. And then what?